Yogurt is a popular snack in our house. I'm very particular about what I feed my three year old and that includes snacks as well. I also try and feed my little guy organic whenever possible. I've always been a fan of Stonyfield Organics. My son has been eating their yogurt since age one. I was excited to learn about these new Refrigerated Yogurt Pouches. The first organic refrigerated yogurt pouches. They come in a bunch of delicious flavors and I love how they make the perfect on the go snack! These tasty pouches are packed with calcium and vitamin d as well as DHA which is so important for little ones in their first years of life. Stonyfield does not use antibiotics, pesticides, or gmo's. Also, these yogurt pouches have no artificial flavors or high fructose corn syrup. Which is something I try to avoid at all costs! 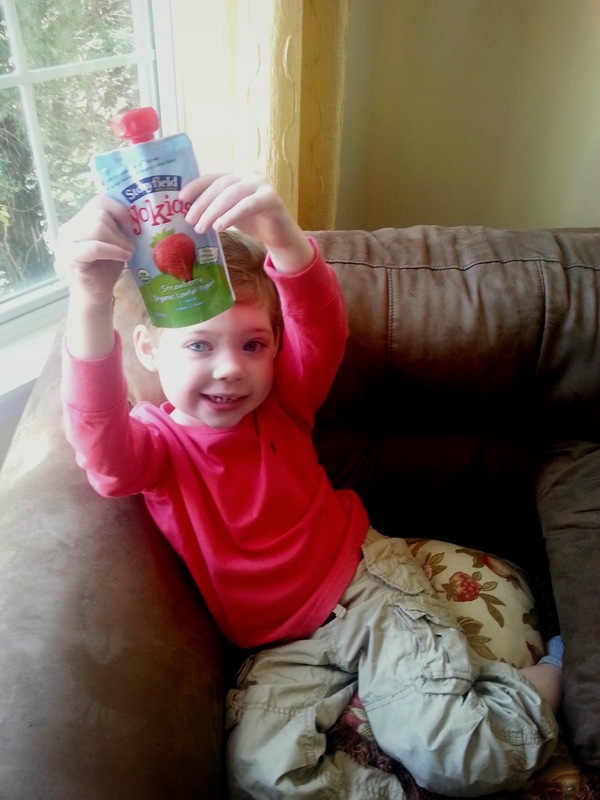 The Stonyfield line is great because the products grow with your child. From baby, toddler, to kids there is an option for all three stages of development. I let my son decide which flavor he wanted and he decided on Strawberry and Strawberry Beet-Berry. They were both a hit but his favorite was the Strawberry! You can find these new yogurt pouches in the refrigerated section of your grocery store. 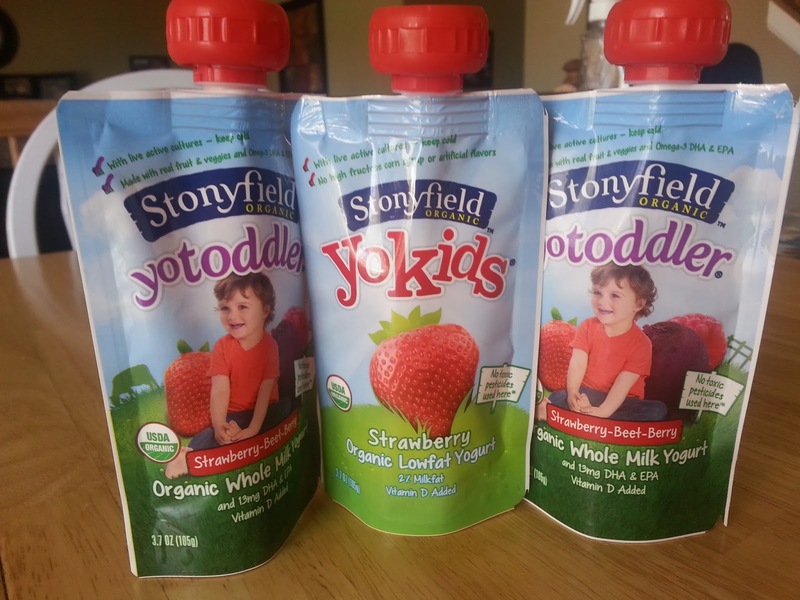 For more information on Stonyfield Organics and to find a store near you that sells these tasty yogurt pouches be sure to visit their website. You can also find Stonyfield on Facebook, Twitter, Pinterest, and Instagram.